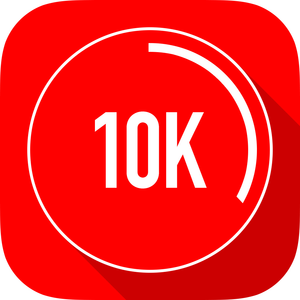 ■ The Official 10K Trainer App ■ Featured on Glamour Magazine, Yahoo!’s Appolicious, Popsugar Fitness, Apple’s “What’s Hot”, Apple’s “New & Noteworthy”, CBS News, Fox News, Macworld and many more! ■ Doctor recommended on healthTap.com ■ Video Trailer - http://bit.ly/10Kvideo 10K Trainer is the easiest program to get beginners from couch potatoes to 10K distance runners in just 14 weeks. 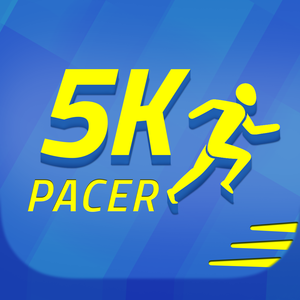 By the same experts who created the #1 C25K (Couch to 5K) training app! Don’t worry, if you are already a 5K graduate, you can skip ahead in this app and pick up where C25K app leaves off! See thousands of real success stories and race photos of your fellow runners using these running program at Facebook.com/c25kfree. This proven 14 week plan will allow users to slowly build strength and stamina by alternating between walking and running. The blend of walking and running together reduces the overall impact and risk of injury, makes training more fun, keeps your body guessing, and prepares you to go the distance. By the end of the program, you will be fitter, stronger and healthier than you have ever been and will be able to run a full 10k! Listen to your favorite music while you train and follow the program’s convenient audio alerts. Along with voice/audio alerts and music controls on your headset, just press “start”, put your device in your pocket, and you are ready to go. NEW smart alerts will tell you not only when to walk or run, but will also tell you for how long! ≈ Features ≈ ◉ FULL featured program! 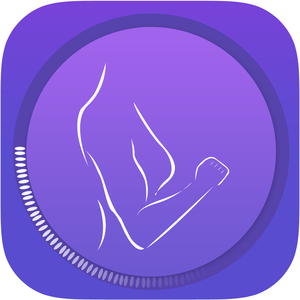 Not a limited/lite version ◉ Proven 14 week program to get you running 10K ◉ Easiest 10k program at only 3 times/week ◉ Listen to your own favorite music and playlist while you train ◉ Easy and intuitive interface. Nothing to learn! ◉ Convenient audio coach and alerts ◉ Compatible with Nike+GPS ◉ Integrated with Facebook and Twitter communities. Meet other fellow marathoners and runners! 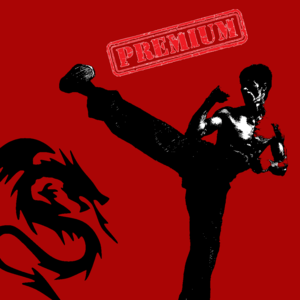 ◉ The only 10k trainer app that works accurately while your device is locked! Questions/comments regarding the app? Please email us at contactus@zenlabsfitness.com, or visit us at www.zenlabsfitness.com. ≈ Connect ≈ Forums: http://forums.zenlabsfitness.com Facebook: http://facebook.com/zenlabsfitness Twitter: http://twitter.com/zenlabsfitness Instagram: http://instagram.com/zenlabsfitness Hashtag: #everymomentcounts Zen Labs Fitness is a proud supporter of the National Breast Cancer Coalition. We are passionate about finding a cure for breast cancer and proudly donate to their cause. www.breastcancerdeadline2020.org Legal Disclaimer This app and any information given by it or by Zen Labs Fitness are for educational purposes only. They are not intended nor implied to be a substitute for professional medical advice. You should always consult your healthcare provider before beginning any fitness program. Continued use of GPS running in the background can dramatically decrease battery life. ■ The Official 10K Trainer App ■ Featured on Glamour Magazine, Yahoo!’s Appolicious, Popsugar Fitness, Apple’s “What’s Hot”, Apple’s “New & Noteworthy”, and many more! ■ Doctor recommended on healthTap.com ■ Video Trailer - http://bit.ly/10Kvideo 0K Trainer is the easiest program to get beginners from couch potatoes to 10K distance runners in just 14 weeks. By the same experts who created the #1 C25K (Couch to 5K) training app! Don’t worry, if you are already a 5K graduate, you can skip ahead in this app and pick up where C25K app leaves off! See thousands of real success stories and race photos of your fellow runners using these running program at Facebook.com/c25kfree. This proven 14 week plan will allow users to slowly build strength and stamina by alternating between walking and running. The blend of walking and running together reduces the overall impact and risk of injury, makes training more fun, keeps your body guessing, and prepares you to go the distance. By the end of the program, you will be fitter, stronger and healthier than you have ever been and will be able to run a full 10k! Listen to your favorite music while you train and follow the program’s convenient audio alerts. Along with voice/audio alerts and music controls on your headset, just press “start”, put your device in your pocket, and you are ready to go. NEW smart alerts will tell you not only when to walk or run, but will also tell you for how long! ≈ Features ≈ ◉ NEW Apple Watch integration! ◉ Proven 14 week program to get you running 10k ◉ Easiest 10k program at only 3 times/week ◉ Listen to your own favorite music and playlist while you train ◉ Easy and intuitive interface. Nothing to learn! ◉ Convenient audio coach and alerts ◉ Compatible with Nike+GPS ◉ Integrated with Facebook and Twitter communities. Meet other fellow marathoners and runners! ◉ The only 10k trainer app that works accurately while your device is locked! Questions/comments regarding the app? Please email us at contactus@zenlabsfitness.com or visit us at www.zenlabsfitness.com. ≈ Connect ≈ Forums: http://forums.zenlabsfitness.com Facebook: http://facebook.com/C25Kfree Twitter: http://twitter.com/C25Kfree Instagram: http://instagram.com/zenlabsfitness Hashtag: #everymomentcounts Zen Labs Fitness is a proud supporter of the National Breast Cancer Coalition. We are passionate about finding a cure for breast cancer and proudly donate to their cause. www.breastcancerdeadline2020.org Legal Disclaimer This app and any information given by it or by Zen Labs Fitness are for educational purposes only. They are not intended nor implied to be a substitute for professional medical advice. You should always consult your healthcare provider before beginning any fitness program. Continued use of GPS running in the background can dramatically decrease battery life. 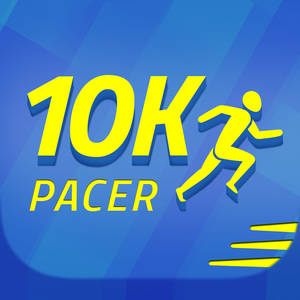 ■ The Official 10K Trainer App ■ Featured on The New York Times, Washington Post, Glamour Magazine, Yahoo!’s Appolicious, Popsugar Fitness, Apple’s “What’s Hot”, Apple’s “New & Noteworthy”, CBS News, Fox News, Macworld and many more! ■ Doctor recommended on healthTap.com ■ Video Trailer - http://bit.ly/10Kvideo 0K Trainer is the easiest program to get beginners from couch potatoes to 10K distance runners in just 14 weeks. By the same experts who created the #1 C25K (Couch to 5K) training app! Don’t worry, if you are already a 5K graduate, you can skip ahead in this app and pick up where C25K app leaves off! See thousands of real success stories and race photos of your fellow runners using these running program at Facebook.com/c25kfree. This proven 14 week plan will allow users to slowly build strength and stamina by alternating between walking and running. The blend of walking and running together reduces the overall impact and risk of injury, makes training more fun, keeps your body guessing, and prepares you to go the distance. By the end of the program, you will be fitter, stronger and healthier than you have ever been and will be able to run a full 10k! Listen to your favorite music while you train and follow the program’s convenient audio alerts. Along with voice/audio alerts and music controls on your headset, just press “start”, put your device in your pocket, and you are ready to go. NEW smart alerts will tell you not only when to walk or run, but will also tell you for how long! ≈ Features ≈ ◉ Track your calories and distance for each workout! Tap the center dial to cycle through your stats! ◉ NEW Apple Watch integration! 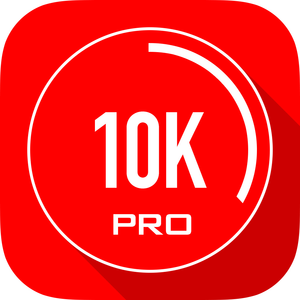 ◉ Proven 14 week program to get you running 10k ◉ Easiest 10k program at only 3 times/week ◉ Listen to your own favorite music and playlist while you train ◉ Easy and intuitive interface. Nothing to learn! ◉ Convenient audio coach and alerts ◉ Compatible with Nike+GPS ◉ Integrated with Facebook and Twitter communities. Meet other fellow marathoners and runners! ◉ The only 10k trainer app that works accurately while your device is locked! Questions/comments regarding the app? Please email us at contactus@zenlabsfitness.com or visit us at www.zenlabsfitness.com. ≈ Connect ≈ Forums: http://forums.zenlabsfitness.com Facebook: http://facebook.com/C25Kfree Twitter: http://twitter.com/C25Kfree Instagram: http://instagram.com/zenlabsfitness Hashtag: #everymomentcounts Zen Labs Fitness is a proud supporter of the National Breast Cancer Coalition. We are passionate about finding a cure for breast cancer and proudly donate to their cause. www.breastcancerdeadline2020.org Legal Disclaimer This app and any information given by it or by Zen Labs Fitness are for educational purposes only. They are not intended nor implied to be a substitute for professional medical advice. You should always consult your healthcare provider before beginning any fitness program. Continued use of GPS running in the background can dramatically decrease battery life. If the phrase “Oh, my aching spine” is part of your vernacular, you’re not alone. 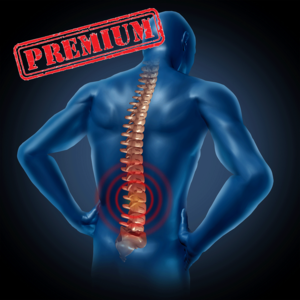 Spine pain is the second most common neurological ailment in adults.The good news is that by strengthening and stretching the muscles,you can strengthen your spine and neck for improved posture, reinforce your body against getting hurt, and improve your core for everyday functional fitness. Researchers have found that persons who lacked lower-back muscular endurance were 3.4 times more likely to develop problems than those who had fair or good endurance. That's because poor endurance in your deep-back and abdominal muscles along with poor muscle-activation patterns, leaves you unable to sit or stand with good posture for extended periods. The moves provided in the application will help you prevent the aforementioned problems and keep you in a proper shape. 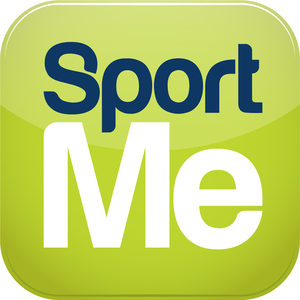 5K, 10K, Half, Marathon Training and Running Coach – SportMe Unlimited Inc.